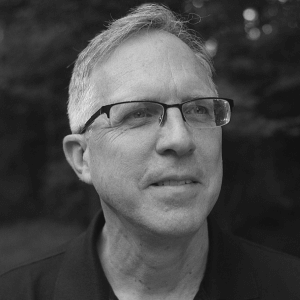 David Bollier is the Schumacher Center’s Reinventing the Commons Program Director. He is an author, activist, blogger and independent scholar with a primary focus on the commons as a new paradigm of economics, politics and culture. He pursues this work primarily as co-founder of the Commons Strategies Group, an advocacy/consulting project that assists the international commons movement. Bollier’s work on the commons especially focuses on Internet culture; law and policy; ecological governance; and inter-commoning. Bollier has written or edited eight books on the commons, including Think Like a Commoner: A Short Introduction to the Life of the Commons (2014); Green Governance: Ecological Survival, Human Rights and the Commons (2013), co-authored with Burns Weston; and Viral Spiral: How the Commoners Built a Digital Republic of Their Own (2010). With Silke Helfrich, he co-edited two anthologies of original essays, Patterns of Commoning (2015) and The Wealth of the Commons: A World Beyond Market and State (2012). Bollier spent many years in various policy advocacy jobs in Washington, D.C. in the 1970s and 1980s – with a Member of Congress, the auto safety regulatory agency, and public-interest organizations. From 1985 to 2010, Bollier collaborated with television producer, writer and activist Norman Lear on a wide variety of non-television public affairs and political projects. In 2001 Bollier co-founded Public Knowledge, a Washington advocacy organization for the public’s stake in the Internet, telecom and copyright policy. Bollier blogs at Bollier.org; lives in Amherst, Massachusetts. Contact David Bollier for speaking terms and dates.